JUC Boston, what a day! 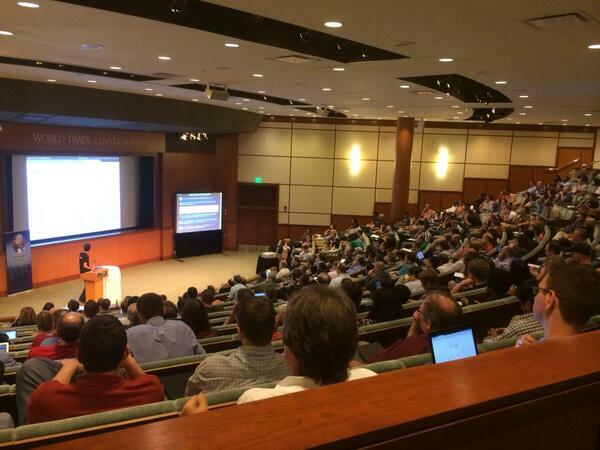 We kicked off this year's Jenkins User Conference world tour in Boston this Wednesday. The event was well-attended with more than 450 people registered and 400+ people showed up. So big thank you for everyone who came! Workflow plugin that Jesse presented was a big hit and lit up twittersphere, and while I was only able to listen to parts of sessions as people had questions and comments for me, ones that I've seen were great. Alyssa told me that the sponsors were happy too, which is also important to keep events like this going. Perhaps the biggest hit of all was the "get drunk on the code show by Steven Christou. When I got in, he packed 30 or so people in the room learning how to write a simple Jenkins plugin, and all the beer bottles were long gone! One of the "fun" activities we did during the event was a trivia quiz. I'm happy to announce the winners here — Tamara from IBM and Prabhu from Staples. Congrats for your Amazon gift cards!